Graphic Design is where we got our start. We can provide you with graphics for whatever the occasion. If you can imagine it we can design it. Our graphic design department is ready to serve your business completely with logos, business cards, letterhead, brochures and much more. One of our many stregnths is recreating artwork from any original piece. 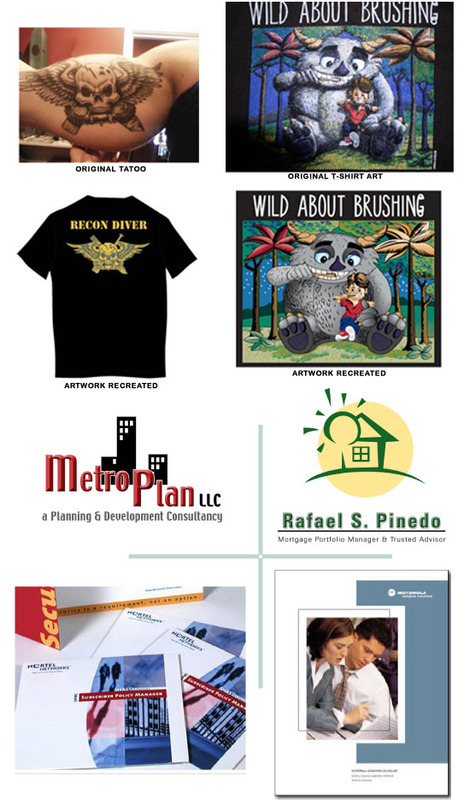 Vectorized artwork is used in silkscreening or enlargement graphics. We can take your blurry scans & web graphics and make them into beautiful, hand drawn, production ready art.